Trainspotters of the UK made a name for itself as the leader in reclaimed industrial lighting and salvage. 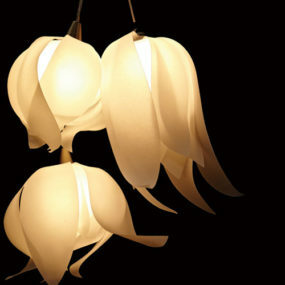 In recent years, they have expanded to re-make some classic lighting styles for which the market demand cannot be met with reclaimed pieces. 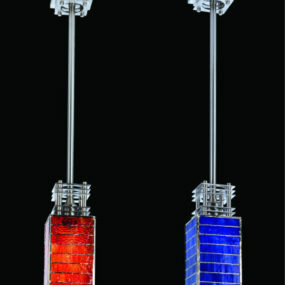 Enter the “Enameled Funk Pendant”. 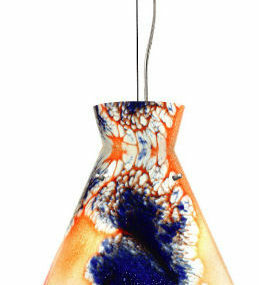 Funky, indeed. 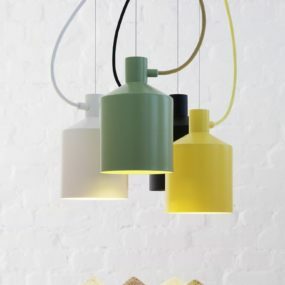 Available in vibrant primary colors: Tangerine Orange, Pea Green, Cobalt Blue, Sunflower yellow, Cherry red (and ivory white if you must) – they are the classic industrial pendant. 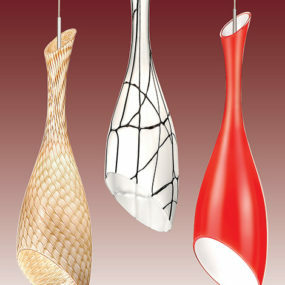 Made of heavy gauge spun steel with vitreous (also known as porcelain) enamel coating, they are made to last. 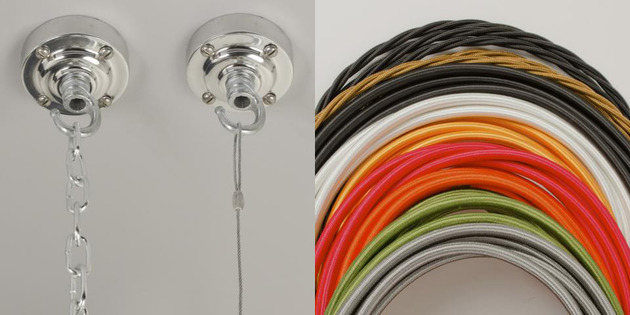 You can choose from a chain or a suspension cord for hanging and the power cords are available in a multitude of colors. Match the color of your shade – or contrast it. 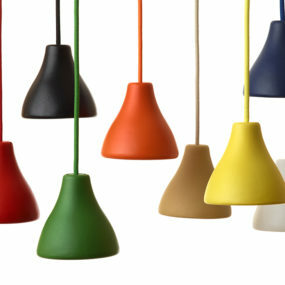 Hang several pendants across a breakfast bar, all in one color or in a rainbow. These shades are not only great looking but they provide a lot of light – making them ideal for the kitchen, the den, the kids’ rooms – almost any room in the house. 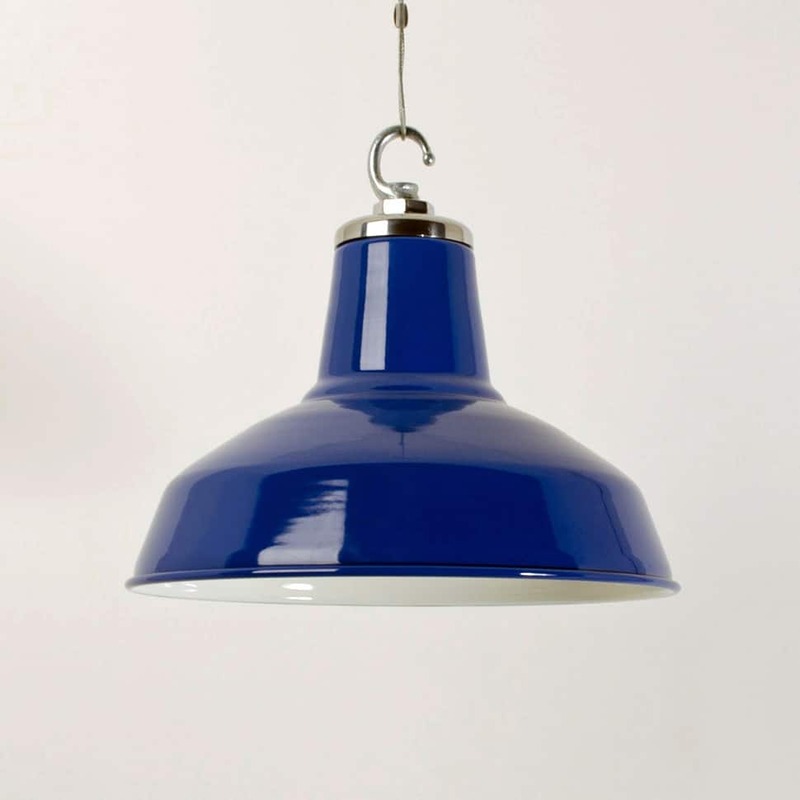 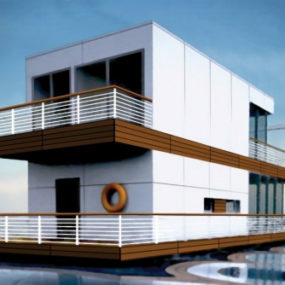 Cobalt blue – the ‘vitreous’ enamel is high gloss. 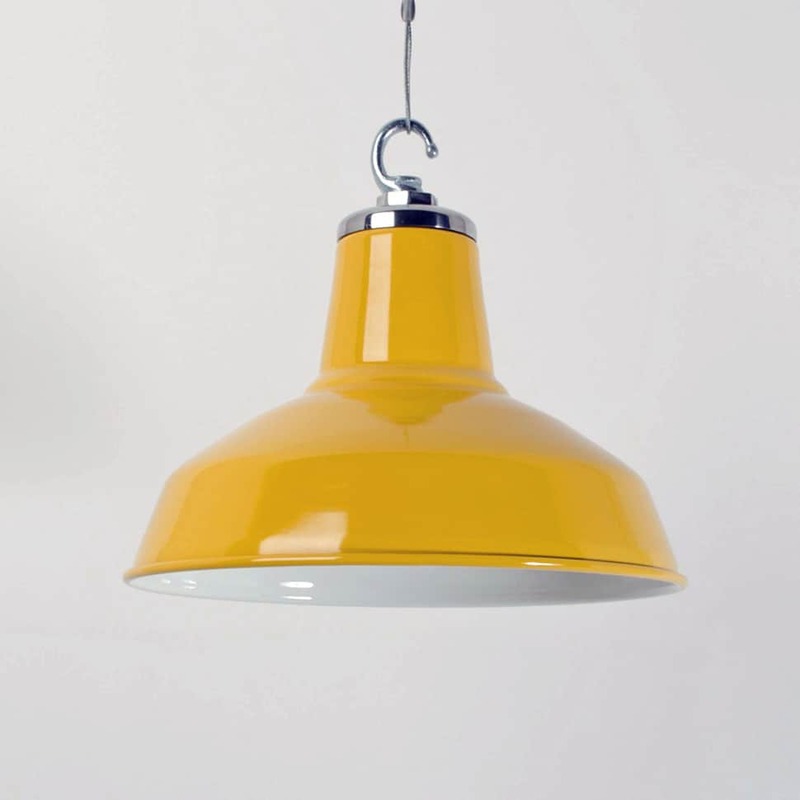 Sunflower yellow is a nice choice for the kitchen. 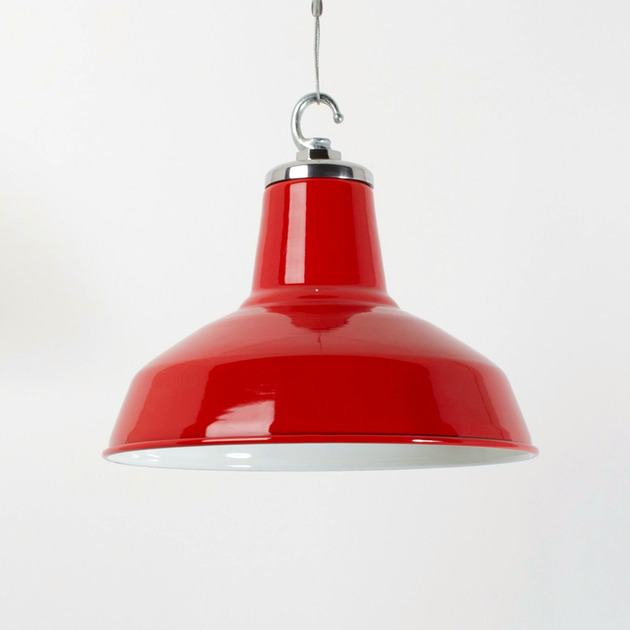 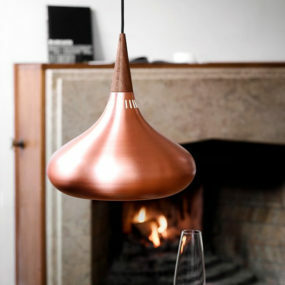 Cherry red industrial pendant – which room would you put it in? 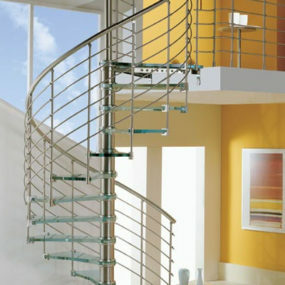 Modern Staircase from Cast for a Breath-taking Weightless Look!